There was a time (30+ years) before I started my restaurant that I didn't know much about wines and wine tasting. I learned over time by reading some basic information early to jump start my education. The article on pairing wine with foods should be useful to many readers. But the techniques and processes involved in tasting wines can seem very complicated and somewhat intimidating for some people. I have held many wine tasting parties or wine tasting events at home and the restaurant. Guests really enjoy themselves (and the wine and the information they gained). Quite a few guests have asked me for a simple one or two page sheet about how to taste wines. Several guests wanted this information to be able to share with their friends before hosting a wine tasting party. Instead of re-inventing the wheel, I found a very good wine tasting article by Jason Connors, a wine tasting expert. He gave me permission to share the article with you. 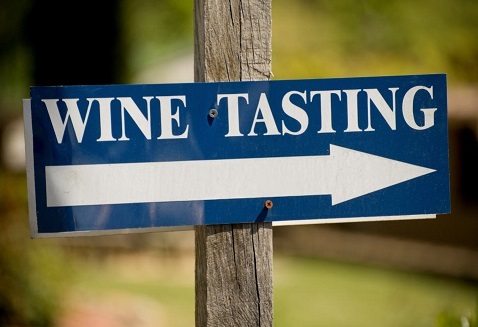 Going to a wine tasting can be a very fun and enjoyable experience. However, many people do not attend for fear of not knowing exactly how to act or what to do. 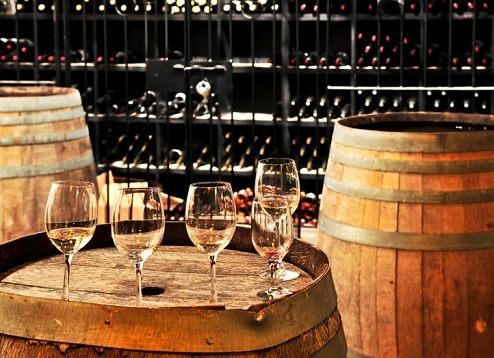 There is no great mystery to wine tastings, just a few things you should remember. As far as etiquette, usually the ladies are served before the gentlemen. Some wine tastings offer you bottled water. Use this to rinse out your mouth between tastings so your palate is clean for the next wine. There is often unsalted and unflavored crackers and bread to help palate cleansing as well. You should always handle the wine glass by the stem. This helps avoid heating the wine with the warmth of your hands, thus altering the taste. Avoid wearing strong perfumes and colognes to a wine tasting. That may take away from not only your smell, but also that of the other guests. Also, avoid smoking, gum, and mints before and during a wine tasting to be able to enjoy the full flavor of the wine. You can tell a lot about a wine just by looking at its color. When you attend a wine tasting, the glasses should always be clear so you can get a good look at the wine. The tables may also be covered with white tablecloths to help you see the wine's color clearly. Do not let the wine name fool you. For example, white wines are not white in color. They may range from yellow to green to brown. Red wines range in color from pale red to a deep brownish red and often become lighter with age. Sometimes the color of a wine may indicate age or flavor. You may be able to tell the age of a red wine by doing a rim test. Tilt the glass slightly towards the rim of the wine glass and look at the wine. If the color of the red wine is more of a purple, it is usually a younger wine. If the color of the red wine is brown, it is an older wine. Another thing you may have seen people do before they taste wine is swirl it slightly in the glass. This is to help open up the wine's flavor. Remember that the wine may have been in a bottle anywhere from six months to many, many years. When someone swirls a wine, it helps release the flavors. It's just like when you're cooking at home and stir the food to help blend the flavors. The color of the wine is just one aspect you will want to look at when you attend a wine tasting. You will also want to smell the wine. After swirling, this is the next step in the tasting process. You have probably seen people smell wine before and wondered why they did it. Smell plays a very important part in what we taste. Researchers have determined that perhaps as much as 75% of what we taste is actually based on what we smell first. You can smell your wine one of two ways: taking a small whiff to get an idea of how the wine smells, then a deeper whiff or take one deep whiff. After smelling the wine, take a minute to think about the smell. You do not want to immediately taste it after smelling but give yourself time to explore exactly what you smelled. Finally, you will need to know how to taste the wine properly. Your tongue has taste buds in both the front and back. These taste buds can detect bitter, salty, sweet, and sour flavors, but some are more sensitive than others are. There are three steps in tasting a wine: the first impression, the taste, and the aftertaste. The first impression happens when you take your first drink and the wine actually hits your taste buds. It should awaken your sense to the wine. After taking the first drink, you should swish the wine around your mouth for a few seconds to let all your taste buds discover the full flavor of the wine. Think about what the wine tastes like. Is it light or heavy? Is it smooth or harsh? The aftertaste is the sensation that remains in your mouth after swallowing the wine. How long did it last and was it pleasant? 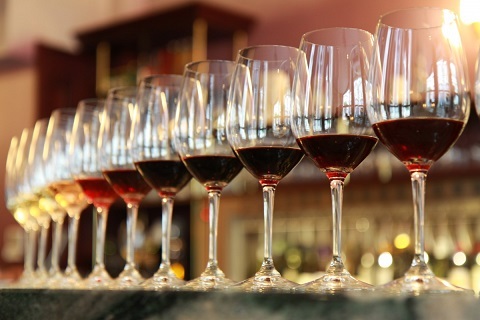 Before attending a wine tasting, it may help you feel more confident to read about the different types of wines. This will give you a better idea of what to look for as far as flavor and taste. Next time you are invited to a wine tasting; do not be afraid to go. You may be missing a great experience! Jason Connors is a successful writer and wine connoisseur providing valuable tips and advice on wine cellar design, wine making, and wine basics. There you have the basics of wine tasting all in one wine tasting article. There are other wine articles on the website. Please check them out. Thanks for your visit. Bookmark the site so you can find me again.